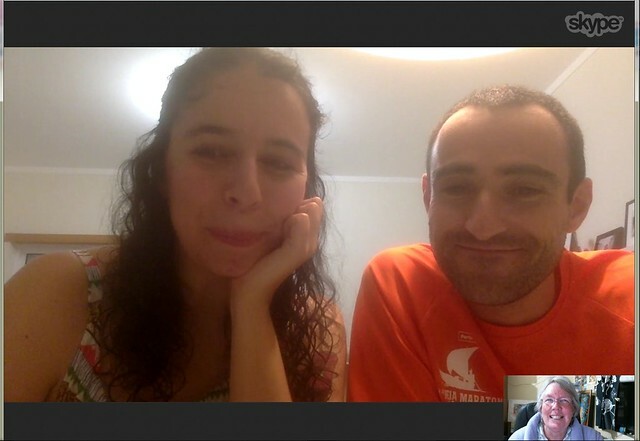 Today started early at 5:30am with a skype chat with Ana and Paulo in Portugal. Today is a Wednesday and the weather was mild. I did my volunteer job at the Goolwa Museum in the afternoon and am continuing to knit baby clothes for my 4th grand-child due in 3 months time. Take 12 photos on the 12th of the month showing your day. Click the left-right arrows on the pics to scroll through the 12 images.